A fresh, modern scent for an urban voyager. A global traveller for business or pleasure, the Momentum Unlimited man enjoys the ultimate luxury: freedom. 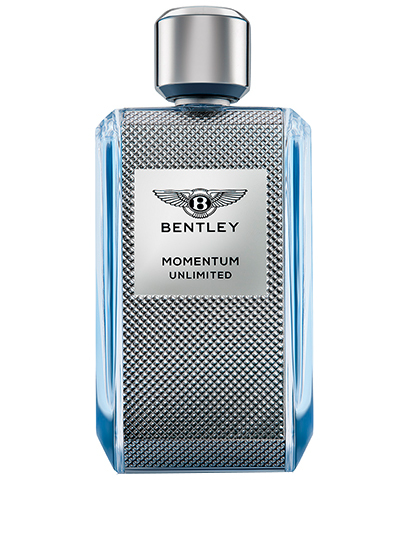 Successful, style-conscious and driven, the Bentley Momentum Unlimited man is inspired by challenge. For him, the sky is the limit. From New York to Dubai, London and Shanghai, he is always on the move. But he knows how to live in the moment. Turning each instant of his journey into an exceptional moment. 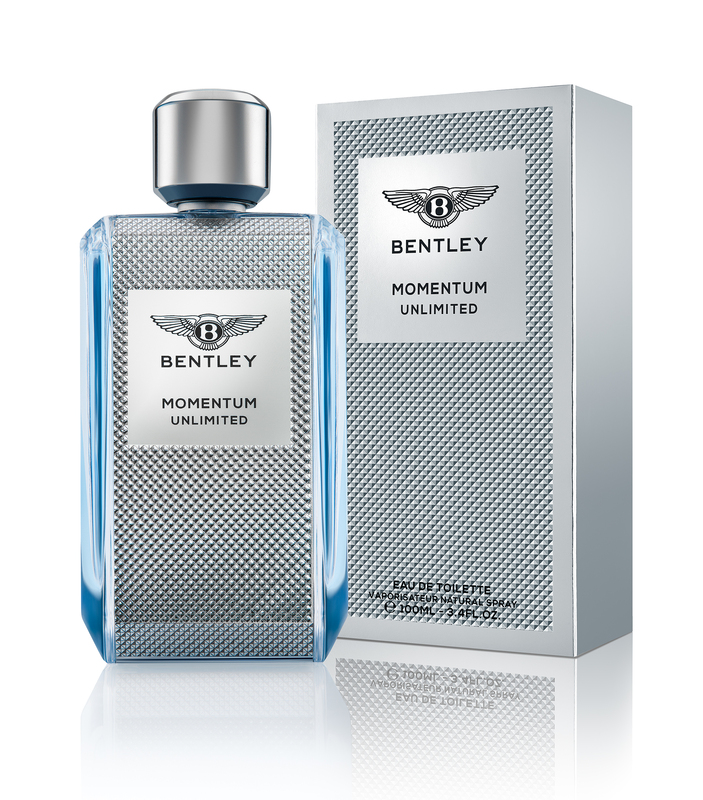 Crafted from top-notch materials by Michel Almairac, one of the world’s most acclaimed scent designers, Momentum Unlimited is fresh as the wind rushing through an open window, lush as the sleek interior of a Bentley motorcar. A fresher interpretation of the bracing Momentum line, this new, vibrant fragrance distils the thrill of elite travelling into an exciting contrast of fresh and sensuous accords. 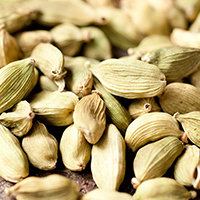 The scent takes off in a fruity burst of bracing grapefruit and tart green apple, boosted by the citrusy brightness of cardamom. As it reaches cruising altitude, the heart notes take a new direction, revealing the signature accord of Bentley Fragrances: the wood and leather notes inspired by the luxurious interior of Bentley motorcars. Three sophisticated essences, polished cedarwood, mysterious vetiver and sensuous sandalwood, enhance the rich, yielding texture of the leather note. 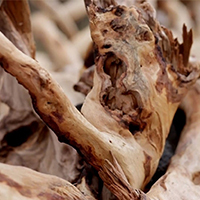 In the drydown, the scent lands smoothly in a sensual trail of skin musks and ambroxan, a quintessentially masculine ambery note. 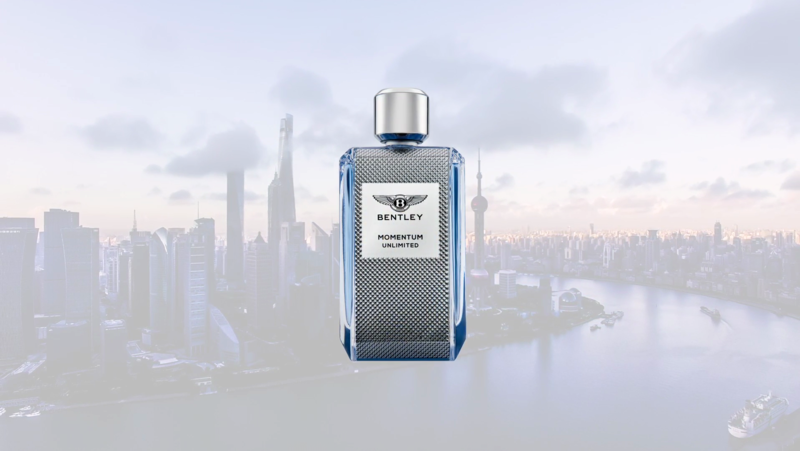 Inspired by the soaring, vertical skyline of a modern metropolis, the stylized design of the Bentley Momentum line reflects its assertive, vibrant fragrances. Tall, rectangular and faceted like an emerald-cut diamond, it is made of luxuriously heavy glass. Introduced in 1919 in the second car ever built by W.O. 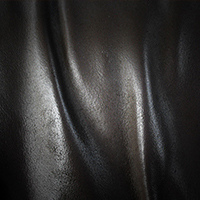 Bentley, this trademark motif was conceived to be pleasant to the touch as well as to the eye. Embossed in shiny silver plates covering the bottle from base to neck, it adds a sensuous tactility and strikingly graphic style to the flacon. In contrast, the bottle is crowned with a smooth, silver cap. Through the smooth, transparent glass flanks, the cool azure tint of the fragrance reflects the freshness of a wide-open sky.